We provide commercial services to middle Tennessee and southern Kentucky. We offer deodorizing, hand soap, paper products and their dispensers. Bathroom disinfecting is also available. Did you know that scents at your place of business can have a positive effect on your customers? The smell of cinnamon is said to encourage patrons to spend money. Vanilla has a calming effect. Or maybe you’d like your patrons to feel at home while shopping with the sweet smell of Apple Jack in the air. We offer use of our machines at no cost to you. You pay only for the service rendered. Units remain the property of Mountain Air. We are responsible for all maintenance of fragrance machines and paper/soap dispensers. Our service representatives can maintain your units and eliminate the hassle of doing it yourself. All of our representatives have a minimum of 5 years experience in the commercial cleaning industry! We can service your units on a weekly, bi-weekly or monthly bases depending on your needs. Mountain Air service can typically be found in restaurants, convenience stores, day cares, rent-to-own centers, health care facilities, veterinary clinics, health clubs, beauty salons, schools, hotels, general office buildings, and the list goes on. Everyone falls somewhere in this list because everyone enjoys a clean smelling bathroom. Could you enhance business by using our service? Your competitors are using us already! 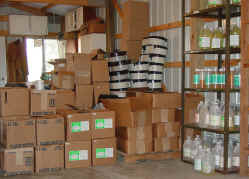 Supplies, We keep our inventory will stocked with the best products in the business! ***Mention you saw us on-line and receive free hand soap with purchase of toilet paper.